With the holidays over, the residents of Chicago settle back into their regular routines in January, which means everything becomes a little less hectic, especially for tourists. It also means that if you're considering a weekend getaway to the Windy City, you're likely to stumble across some attractive hotel and airfare deals during the first month of the year. Fortunately, although the weather may be nearly unbearable, there's still plenty of things to do in Chicago this time of year. From highly-anticipated theater openings and the annual Chicago Restaurant Week to the annual conventions of both the Cubs and White Sox, great events happening all month long entice locals and tourists alike out into the cold for some distinctive Chi-Town fun this time of year. Chicago weather in January gets downright bone-chilling, and it is the coldest month of the year for the Windy City. An average of just under 11 inches of snow falls in January over the course of eight days, meaning you're likely to see snow on your trip to the city this month, though it is one of the driest months of the year for the city. January is also one of the windiest months Chicago, with an average wind speed of just over 14 miles per hour (compared to 8.4 miles per hour in August), and while much of the month will be overcast, you can still expect an average of three hours of sunshine per day. Since temperatures can fluctuate from relatively warm (for winter) to bone-chillingly cold, you should pack layers of clothing and make sure to bring a winter coat, hat, gloves, and a scarf. Also, although not required, thermal undergarments or leggings can also help you stay warm during your trip. If you plan on walking a lot, you should also bring comfortable boots, a windbreaker to throw over your coat, and even warmer clothing—especially if you're attending an event or visiting an attraction outdoors. 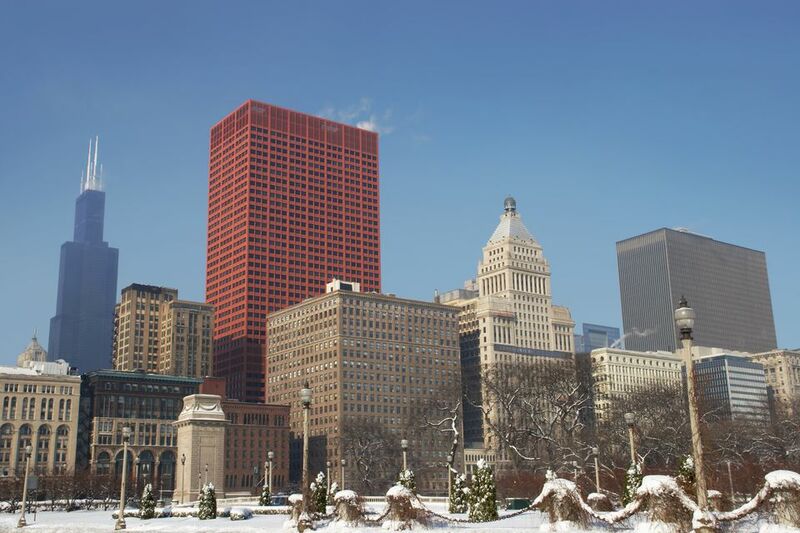 The brutally cold January weather in Chicago does not stop the locals and tourists alike from fully enjoying this lively city with a robust calendar of activities and events. Winter WonderFest: Chicago's biggest and best indoor winter playground runs through early January each year at the Navy Pier with rides, slides, and an ice skating rink. Chicago Cubs Convention: This annual event welcomes fans of the local sports team to the Sheraton Grand Chicago for player meet-and-greets, autograph signings, and interactive exhibits. Tickets are required to attend, but there are several discount packages that also include hotel accommodations. Black Creativity: This juried art exhibition at the Museum of Science and Industry runs from late January through February each year and presents more than 100 works of art by emerging and professional African-American artists. SoxFest Chicago: An annual event highlighting the Chicago White Sox that takes place in late January at the Chicago Hilton. During the multi-day event, former Sox stars and current players will be on hand to sign autographs and participate in Question and Answer sessions. Chicago Restaurant Week: Over 370 dining destinations across the city participate in this annual event, which offers discounts on prix-fixe meals at some of the city's top restaurants. January is typically the month when museums and galleries open their latest exhibits and also when theater and dance groups announce their performance schedule for the year; you can check local announces for the latest showtimes, performances, and exhibits. Mid-winter guests often enjoy lower rates at revered hotel properties such as Conrad Chicago, Soho House, and W Chicago-Lakeshore. For more seasonal fun, you can join the expected 100,000 people who go ice skating at Millennium Park below Chicago's Cloud-Gate sculpture throughout the winter. If a major snowstorm blows through, you could encounter flight delays and travel problems; fortunately, there are plenty of options for dining and drinking if you get stranded at Midway or O'Hare airports. Although the weather is already cold, the windchill factor from high gusts of wind in the winter can make it feel 10 to 20 degrees colder out; be sure to pack a windbreaker and extra layers if you plan on being outdoors for extended periods of time.